Jan 4, 2009 – It’s been a few weeks now since I added the image of my new ebook on how to learn Spanish to the side of this blog. Quite a few of you have signed up for it and I thought everybody else might like to know more about it. It’s not another grammar book or lists of vocabulary, useful as those might be. Instead, it’s a discussion of the process of how to learn to speak Spanish. I discuss each topic and include a resource guide. 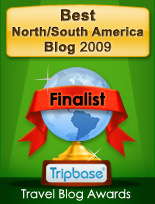 Regular readers of this blog know that I am hardly an expert at the Spanish language. So what gives? I decided last summer that I wanted to improve my Spanish, and I began doing research into what the most effective methods are for learning another language. The website learnspanishrapidly.com grew out of what I learned. One thing that stands out is that being, ahem, of a certain age is no impediment. When you sign up for the free ebook, you also receive an email from me on Tuesday mornings, which lists and shows the beginnings of the Learn Spanish Rapidly blog posts from the past week, an easy way to keep current. You can of course unsubscribe from it at any time, from the link included in the bottom of the email. And I don’t do anything with your email address except send you the newsletter. The email itself can serve as reminder to you to keep going on your own Spanish, even if you don’t happen to click through to the blog. One of the things I’m noticing as my own Spanish improves is that creating simple, regular habits is a huge key. I talk about that a lot over on the new site. For example, I’m currently running a series of articles on the benefits of using computer flashcard programs to study Spanish. That site has only been up a few months and I have huge plans for it. It turns out that there are all kinds of interesting online resources for learning Spanish, and I intend to make that site a place where you can read reviews of many of them. I write about ways to learn Spanish for free and about commercial programs like Rosetta Stone, Pimsleur, Tell Me More, and my new favorite, Fluenz. to my members of Crazy John Freebies Worldwide Club. Good point, John ! I lived in southern Spain for about a year when I was 25 and loved it. Haven’t been back, though.